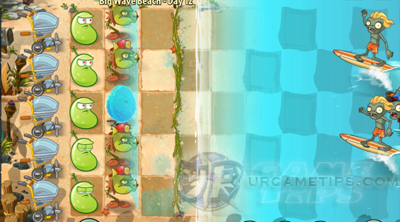 Here's a quick walkthrough and strategy guide for the "Big Wave Beach" stages in the action and arcade defense game - Plants vs. Zombies 2: It's About Time! Take a trip back to the 60's and hang ten on the ocean waves! Tides are changing and those gnarly zombies make it not-so-safe to back in the water! - Play Dark Ages Quick Walkthrough and Strategy Guide first before this guide! - Used to be able to place a plant on top of the water tiles. - Always place Lily Pads beyond the tide line before or after placing your plants to protect them from waves. All Green colored plants below are placed on top of Lily Pads. - Use Shovel and sell unused Lily Pads. - Can be placed on water tiles without Lily Pads. - Entraps and pulls down one approaching zombie, a very useful plant vs. water based zombies. - Shoots balls that bounces through all zombies, bigger balls hits harder. - Not free, but can be played on certain stages. - Snapdragons: After placing 2 Sunflowers, place the first 2 Snapdragons on the 2nd and 4th row first, next on 3rd, then 1st and 5th rows last. If the formation below requires 2 columns of Snapdragons, start by placing 4 of them on the the 2nd and 4th row, and so on. - Note: Use Wall-Nuts or Tall-Nuts if needed to defend your Snapdragons. 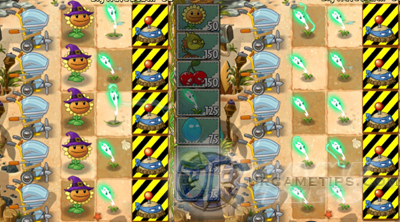 - You can instantly repair defensive plants like Wall-Nuts and Talls-Nuts by planting the same plant on top of them. - You can use Plant Food on any seed packet to instantly refresh their cool down. - You can manually launch one mower by tapping and holding! - After you complete the formation below, you may slowly replace your Sun producing plants with offensive plants. 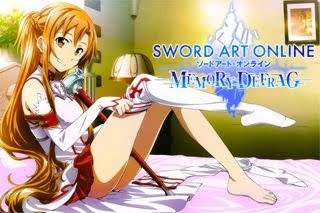 - If you are having difficulty, you may use Power Ups or buy PFs if you like. - This means: Plant Sunflowers in the 1st column from the left, Peashooters in the 2nd and 3rd columns, then Wall-Nuts in the 4th column. - Shovel: Sell those 3 Lily Pads nearest to the zombie spawn line. - Cherry Bomb and Chili Bean: vs. tough zombies or group of zombies, use Lily Pad if needed. - See above tips on how to effectively deploy Snapdragons. - Same as Big Wave Beach - Day 1 above, but put Lily Pads below your Wall-Nuts. - PF: Chomper: vs. group of zombies in front of them. - Use Peashooters as your front liners, to disrupt zombies and give time to your chomping Chompers. - PF: Peashooter or Tangle Kelp vs. tough zombies. - Tangle Kelp: place on water tiles to entrap bucket head zombies. - PF: Snapdragons vs group of zombies, use it on 2nd or 4th row Snapdragon. - Shovel: Sell those 6 Lily Pads nearest to the zombie spawn line. - Tangle Kelp and/or Cherry Bomb: vs. Snorkel zombies or tough zombies. - After completing the formation, slowly replace Sunflowers with more Snapdragons. - PF: Snapdragons vs group of zombies. - Shovel: Sell those 4 Lily Pads nearest to the zombie spawn line. - Bowling Bulbs: Larger Bulbs do more damage. - "Thunder" balls are powerful reserve them for tough zombies, or wait for the zombies to come closer then unleash them. - Snorkel zombies are only vulnerable once they reach the tide line, so wait for them to come closer before hitting them with your balls. - Once the Deep Sea Gargantuar comes in, tap and hold your mower to launch and instantly defeat the Gargantuar. - PF: Snapdragons vs Snorkel zombies, or group of zombies hitting your walls, especially during the final wave. - Shovel: Sell the Lily Pad nearest to the zombie spawn line. - Quickly setup 2 Snapdragons then your Walls to block other Snorkel Zombies. - Tangle Kelp and/or Cherry Bomb: vs. Snorkel zombies. - After completing the formation, slowly replace Sunflowers with more Snapdragons. Start on the 2nd or 4th row first. - Note: Slowly replace Peashooters on the 2nd column with more Bowling Bulbs. - PF: Bowling Bulbs, once the zombies reaches the 2nd or 3rd column. - Tangle Kelp: vs. Snorkel zombies or Bucket heads. - PF: Snapdragons vs. Surfer zombies, time it well. - Shovel: Sell the 4 Lily Pads nearest to the zombie spawn line. - Lily Pads: Use them to force Snorkel zombies to resurface. 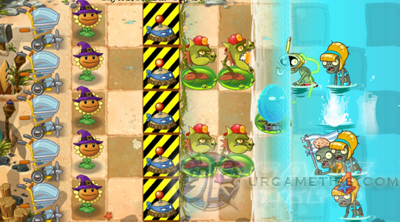 - After completing the formation, slowly replace Sunflowers with Kernel Pults or Bowling Bulbs to help your Snapdragons defeat those pesky Surfer zombies. - Shovel: Sell all Lily Pads. - Refer below screenshot for the formation. - PF: Infi-Nut to protect your plants. Use it again right after the "Low Tide" zombie wave, or if you see the shield fading. - I prefer Laser Beans and Snapdragons here because they can penetrate surf boards. - You should have an extra Cherry Bomb here, use it vs. group of enemies hitting your shield. - Shovel: Sell all Lily Pads first, and always remember to sell all unused ones. - Tangle Kelp: vs. Snorkel zombies, do this from the start until you have 3 Twin Sunflowers. Setup your Snapdragons next, then let them take care of the normal zombies. 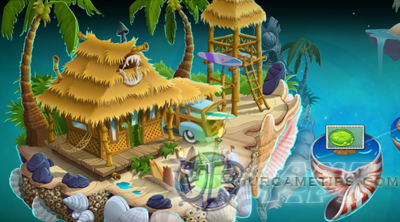 Use Tangle Kelp also to defeat other tough zombies, especially Surfer zombies. - PF: Infi-Nut, to get the first PF, quickly deploy a cherry bomb near the first green Snorkel zombie. Be warned, a Surfer zombie will come next, so prepare your Tangle Kelp. - Infi-Nut: Watch out and protect your Infi-Nut from Surfer zombies. You should have 4 slots left after the formation above, use this for your Lily Pads, Tangle Kelp, Chili Bean and Cherry Bomb. Always sell your Lily Pads after use to free up space, and make sure you don't exceed below 0 "Plant Remaining"! - Chili Bean: To help you get rid of those tough zombies, do no use this in front of your Infi-Nut if a Surfer zombie is approaching. 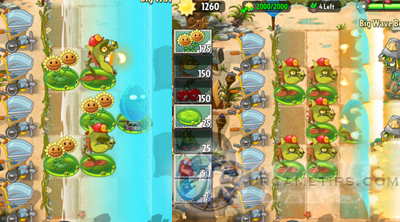 - Once you reach 2,000 Sun, replace all Twin Sunflowers with Snapdragons. - Quickly set 5 Sunflowers first at the start of the game, then place a Chomper to defeat the first zombie. - After the formation above, keep spamming Chompers until the 4th column. Quickly replace fallen Chompers placed on the 2nd or 3rd column. - Quickly setup your Sunflowers, use Tangle Kelp for the first 2 zombies to get the first PF. - PF: Infi-Nuts to protect all plants. Protect your Infi-Nuts from Surfer zombies, use Cherry Bomb or Tangle Kelp. I like using 2 Infi-Nuts here to make sure zombies can't cross, place the 2nd Infi-Nut on the [1st row: 5th column] tile. - Recharge your front line Infi-Nut once it's shield disappears, don't worry, your 2nd Infi-Nut will take care of the other zombies. - Add 2 more Snapdragons on the [3rd row: 4th and 5th column], and a line of Lightning Reeds on the 2nd column to complete the formation. - After the formation above, slowly replace all Sunflowers with more Lightning Reeds. - Replace Chompers with Bowling Bulbs after completion, or just place extra Bowling Bulbs on the 2nd column. - Note: Place the plants according to what you need. Example: Place Chomper vs. surfer zombies or tough enemies, Bowling Bulb vs. normal zombies, and Wall-Nuts to quickly protect lanes without offensive plants. The game generates random plants so luck might be a factor here, restart if needed, it's ok.
- Tangle Kelp: Use it mainly to defeat Surfer zombies, or other tough zombies if needed. - PF: Bowling Bulb, use it if one of your 1st column plants is under attack. Chomper or Bowling Bulb, to defeat Surfer zombies, or group of tough zombies. - 1st Gargantuar: Try to earn 2 PFs and use them on Bowling Bulb vs Gargantuar. - Last 2 Gargantuars: If you reached this point and there are 2 Gargantuars left (or with little zombies) on the stage, follow the next step below, if not, then restart the stage. - For the last 2 Gargantuars, I suggest you buy 1 or more PFs using your Coins (select the green (+) to buy some). Use it on your Bowling Bulbs and defeat those pesky Gargantuars!